The Bodyguard star said living in Elderslie was 'difficult' as he suffered 'constant humiliation'. 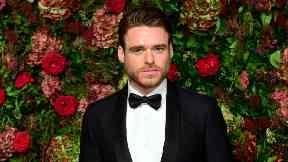 Richard Madden has said growing up in his "rough" Renfrewshire hometown was "constant humiliation". The Bodyguard star said Elderslie was a "difficult place to be" and said his trips to the youth theatre attracted bullies. Speaking to British GQ, Madden said : "There's not a huge industry in that town anymore. It was rough. My high school was really rough. "Growing up was just constant humiliation really." He added: "I went to youth theatre to try and get a bit more confidence in myself. "Yeah, exactly. I got bullied." Madden, who played Robb Stark in Game of Thrones, revealed how he had just finished filming his next role alongside Taron Egerton as Elton John's manager and lover, John Reid, in Rocketman. Speaking of the role, he said: "We know Elton for all his flamboyancy and have preconceived ideas a lot of the time about gay relationships in film and television. "But they're just two men in a relationship and I'm really proud of that, that we're not defining it by their sexuality." The 32-year-old also played down rumours he will be cast as the new James Bond. He said: "This is what happens with all these shows, like Tom Hiddleston in The Night Manager. Then there's the next one. I'm the next one. "Everyone just loves the rumour mill on that topic. I'm just the current one. "There'll be a different one next week."